See Tuesday's top news photos. 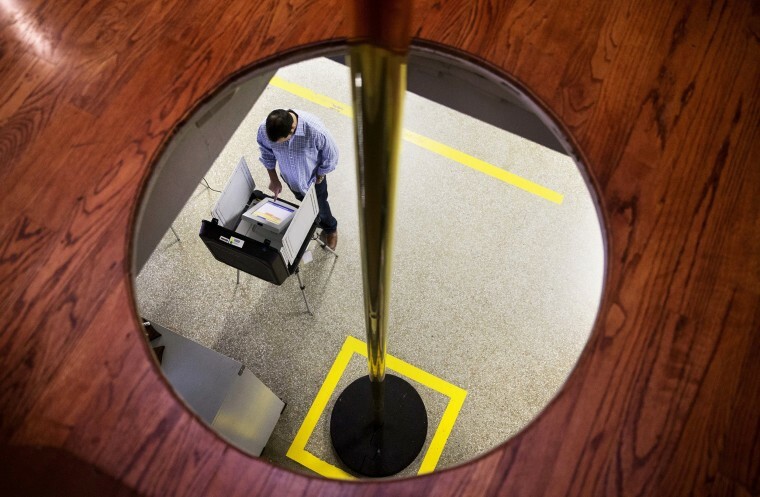 A voter casts a ballot in Georgia's primary election under the hole of a slide pole at a polling site in a firehouse in Atlanta on Super Tuesday. Seamus Daly, second from left, walks to a car after being released from Maghaberry prison near Belfast, Northern Ireland. A British court dropped all charges against Daly, the only remaining suspect in Northern Ireland's 1998 Omagh bombing that killed 29 people and threatened a peace deal in the province. 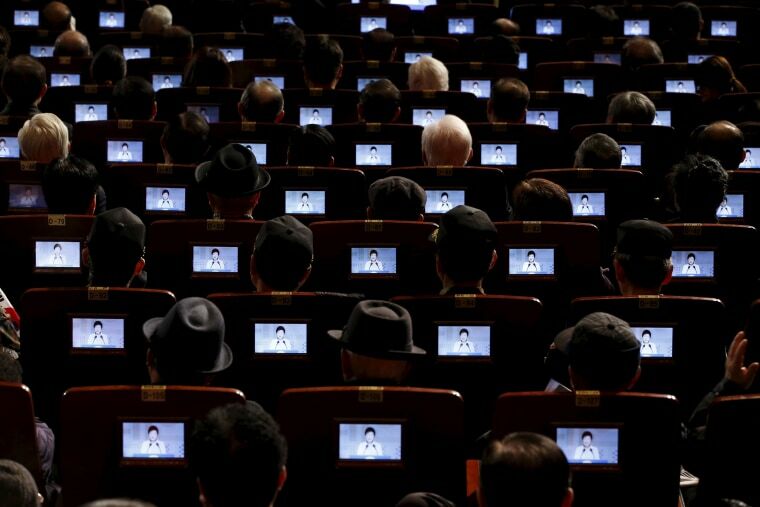 South Korean President Park Geun-Hye appears on small screens fitted in seats as she speaks at a ceremony celebrating the 97th anniversary of the Independence Movement Day in Seoul. 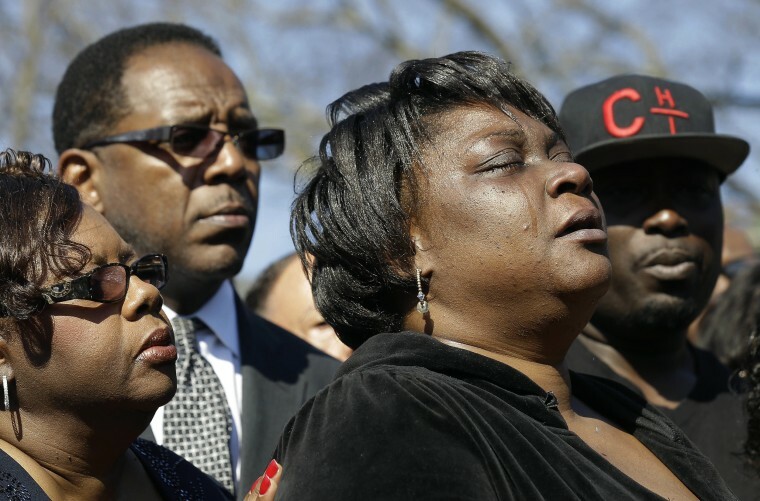 Rolonda Byrd, who says she is the mother of shooting victim Akiel Denkins, cries during a news conference near the scene of the shooting in Raleigh, N.C. Authorities say that a police officer fatally shot a man Monday while trying to make an arrest for a felony drug charge. 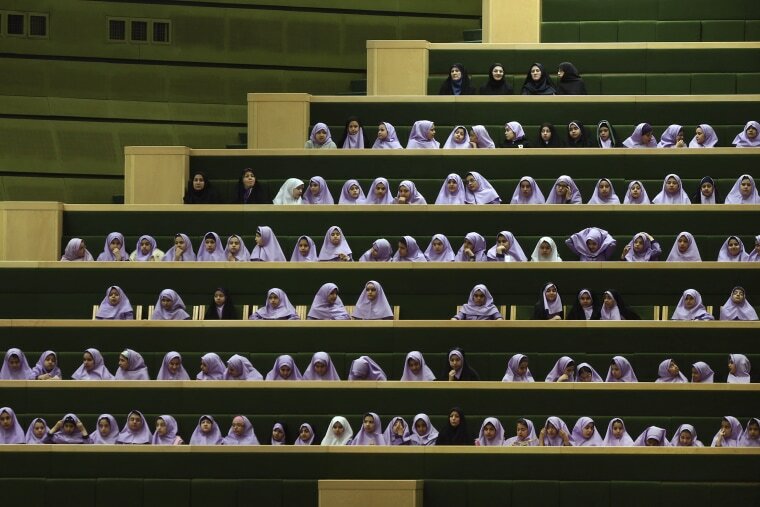 Iranian schoolgirls follow debates of lawmakers in an open session of the outgoing parliament in Tehran, Iran. A coalition of moderates and reformists gained bigger ground in the new parliament after Friday elections, the biggest presence of the camp over the past decade. The new parliament will take office in late May. 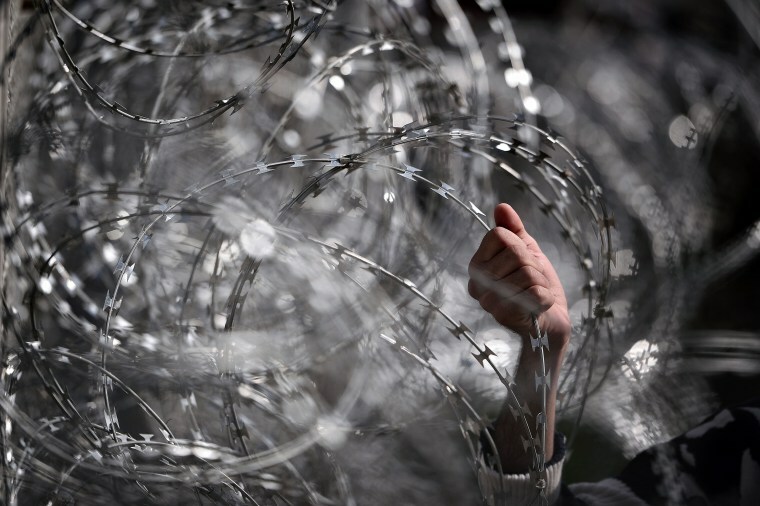 A migrant holds a razor wire at the gate on the Greek-Macedonian border, near the Greek village of Idomeni, where thousands of people are stranded. 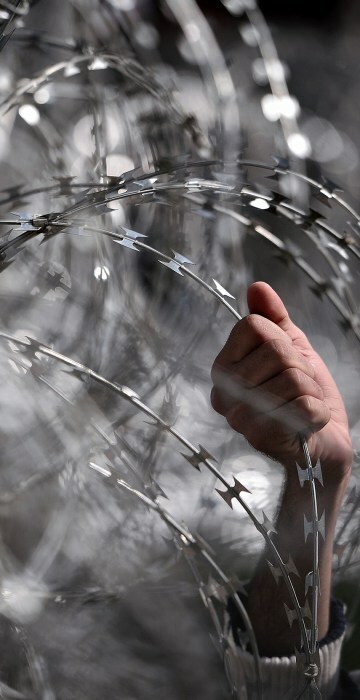 With Austria and Balkan states capping the numbers of migrants entering their soil, there has been a swift build-up along the Greece-Macedonia border with Athens warning that the number of people "trapped" could reach up to 70,000 by next month. 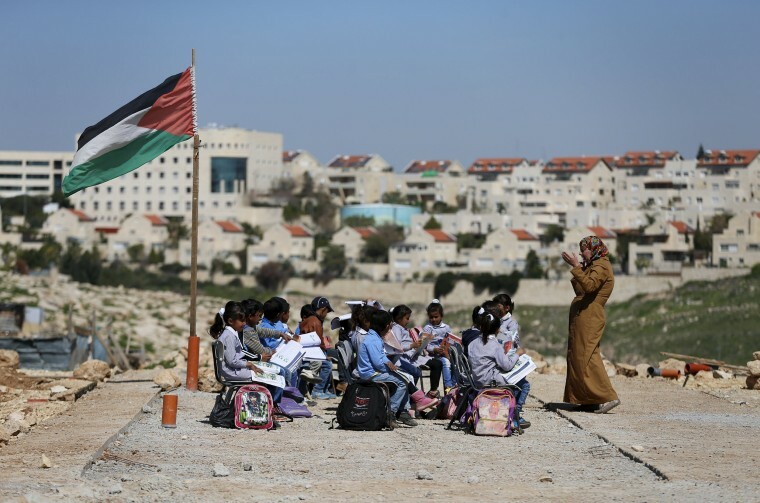 A teacher gives a class to Palestinian Bedouin students outdoors near the Jewish settlement of Maale Adumim (seen in the background), in the West Bank village of Al-Eizariya, east of Jerusalem. The Israeli forces dismantled the caravans that were used as classrooms for the Beduin community school on February 20, residents said. According to school officials, the Israeli army informed them that the containers were removed because they did not have an Israeli-issued construction permit to stay in the area. 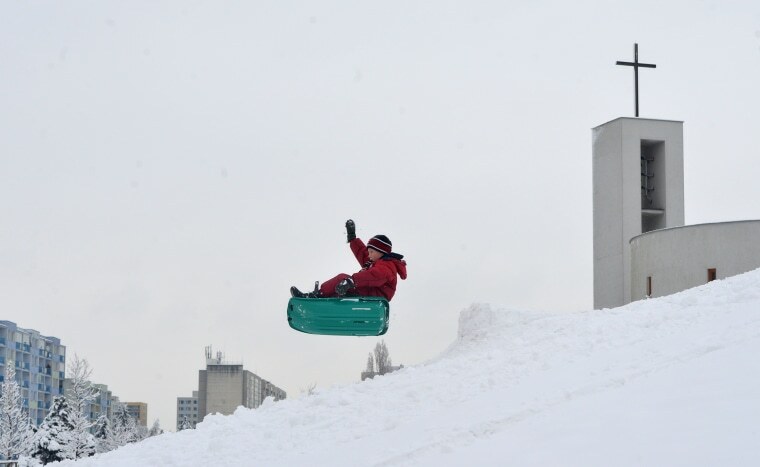 A boy enjoys sledding after a heavy snowfall in Prague. Trader Gregory Rowe works on the floor of the New York Stock Exchange. 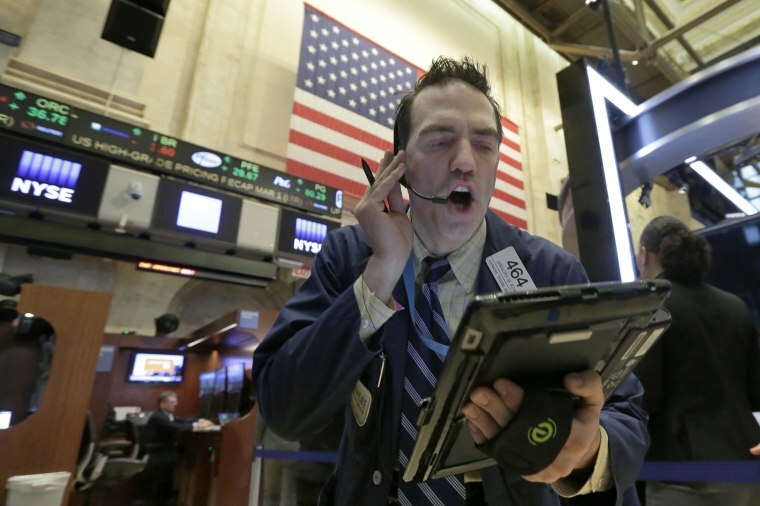 U.S. stocks are opening modestly higher as the market recovers from a loss the day before. 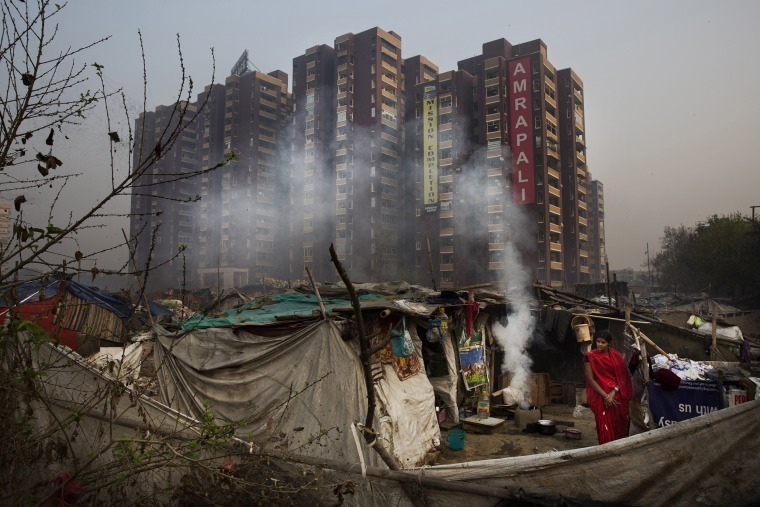 A woman uses a traditional mud stove in front of her hut in a slum on the outskirts of New Delhi, India. Finance Minister Arun Jaitely announced a massive scheme to provide cooking gas to 15 million poor households across rural India, a step that could save millions of trees that would otherwise have been cut for fuel.